Founded in 1971, the Polytechnic School Alumni Association creates an active partnership between alumni and the school. Every student who attends Poly for one or more academic years is considered a member of the Alumni Association after his or her class has graduated. 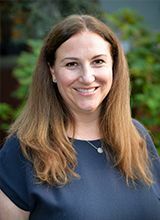 The Alumni Board, the governing body of the Alumni Association, furthers Poly's mission by promoting and supporting the involvement of alumni and by fostering connections among alumni and the broader Poly community. Nominated by fellow alumni, board members are committed volunteers for Poly and its programs. 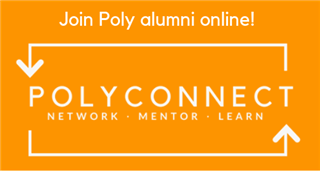 There are seven committees of the Alumni Board that are responsible for the various elements of the alumni program at Poly: Poly Fund, Communications, Events, Nominating, Student Outreach, Strategic Planning, and Young Alumni. The Nominating Committee accepts nominations for new members throughout the year and votes on a slate of candidates in the late spring. Board terms begin Sept. 1 of each year and end Aug. 31 the following year; most members serve five consecutive terms. Please contact any of us on the board with questions or concerns at any time. Most important, I encourage you to take full advantage of class and regional activities, services for alumni described on these pages, and to give back to the school through the Poly Fund and volunteer activities. Our community is strong and vibrant because of the many talents and relationships we bring to it.